Last week (7th) we had the inimitable Emma Burrows curating RealScientists. For a refresher on her background, pop back to her intro post here. As a neuroscientist and a Douglas Adams fan, Emma entertained us with an engaging discussion covering the social life of mice, human brain development and #WomaninScience. If you missed it, you can catch up on all her tweets here. For those who haven’t yet had their fill, start following @embws for more neuroscience and mouse whispering. The week flew by. Thoroughly enjoyed my time curating RS and really got a kick out of so many positive responses to my work. Thank you! I initially felt pressure for not tweeting 24/7 but then realized I had to keep on living. I took many hrs out to spend time with my family and also to actually do science. I hoped that the RS followers would understand. At first I likened tweeting for realscientists to the radio, but then quickly realized after returning to 100s of RTs and favourites that my words were more permanent than a sound bite uttered quickly and then spoken over. I managed to offend only 1/13,000 so I definitely survived. I loved the immediate conversation that followed my tweets. Realscientists followers are vocal, passionate and generous with their views. I didn’t have a plan for my time as curator. I was happy to engage people in a number of conversations about my work and the way we do science more broadly. I was particularly pleased that I could freely talk about my work, which involves animal research. I don’t watch TV so haven’t any recommendations. Considering that TV watching and sedentary lifestyles increase risk for Alzheimer’s, I’d recommend heading out to the park for a walk or go see a live show. Thank you Emma from the entire RS team for a wonderful week at the helm! How to survive in space – The Royal Institution’s CHRISTMAS LECTURES team joins Real Scientists! 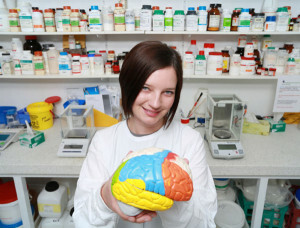 Next story With Sports, Beer and Neurosci: Lauren Sakowski Joins RealScientists!